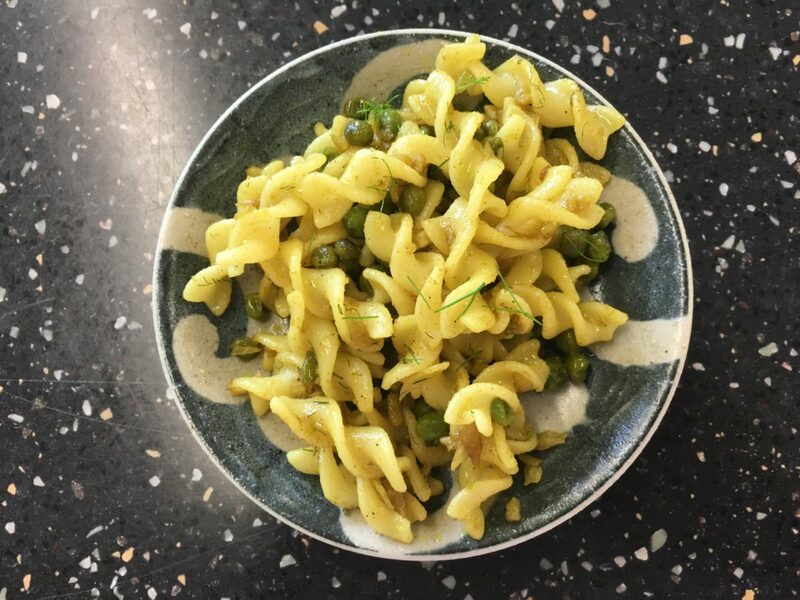 Penne Pasta – 2 cups – start cooking the pasta in 5 cups of water when the sautéed vegetables are cooked half way, do not drain the water and let it remain in the warm water when done. Heat oil in a pan in medium heat. Add chopped fennel bulb and sauté till translucent. Add garam masala, turmeric and salt to taste. When the spices separate from the oil turn the heat to low. Using a strainer ladle take the pasta out and add to the pan of sautéed vegetables and mix well, let it cook for 5 minutes. Sprinkle the fennel frond on top and serve hot (parmesan cheese is optional).